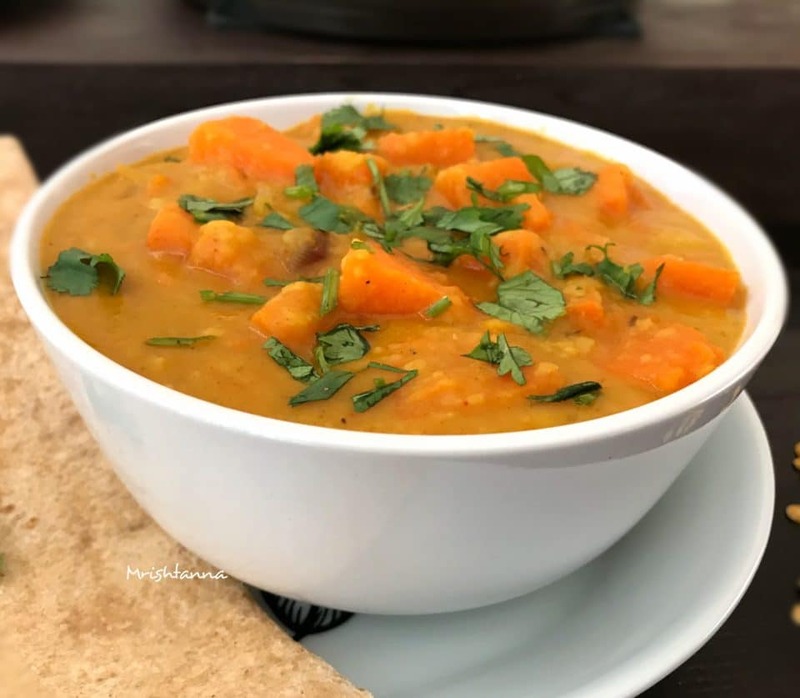 Â Â Low Fat Pumpkin dal! There is no better season to cook pumpkin than early fall. The best pumpkins are out in the grocery store (or your backyard) and there is no better time to share the unique pumpkin recipe that needs no baking. The naturally sweet taste of pumpkins makes them kids favorite as well. 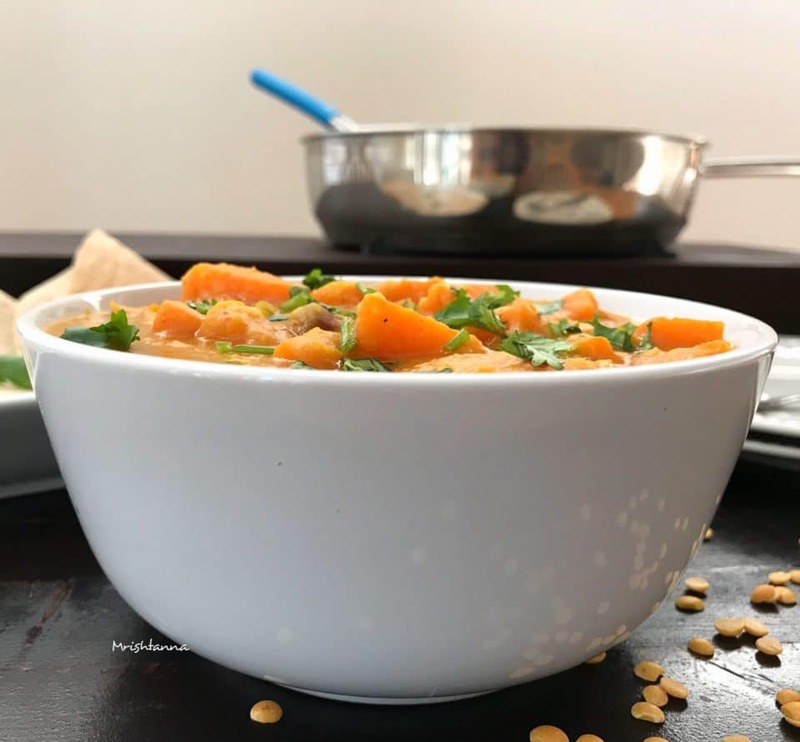 Pumpkin Dal is a mighty concoction of cubed pumpkins along with protein-rich pulses and spices. Â Pumpkin is one of the low-calorie vegetables you can find. It is a storehouse of several vitamins and antioxidants. Todayâ€™s Pumpkin Dal is a low-fat option for cooking pumpkins compared to baked pies or muffins. 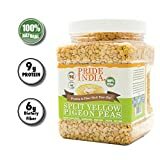 For this recipe, I used split pigeon pea, but you can substitute it with moong dal or any other pulse you prefer. 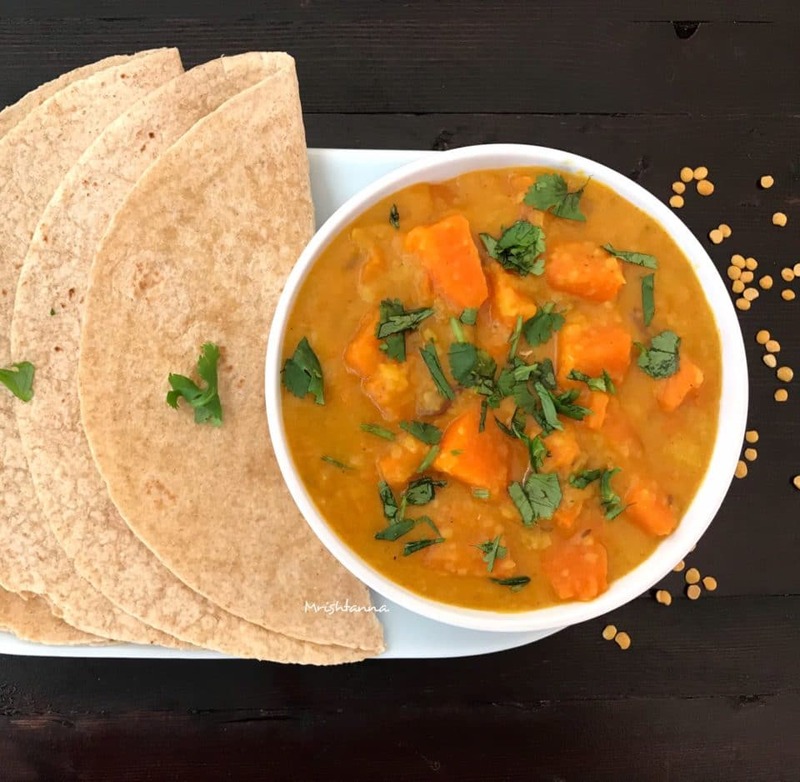 Low Fat Pumpkin Dal pairs very well with roti (Indian bread) or steamed rice. The recipe is easy to prepare if you have a pressure cooker. Setting it up for three whistles ensure a well cooked Dal. If you do not have a pressure cooker, be sure to cook them until their cores are soft. Undercooked lentils change the texture of the dish and turned to make them very dry. There is a little bit of work involved in cutting the pumpkins, but they are definitely worth it. Cutting them too small will probably overcook them. Be sure to cut them about 1 inch or a little smaller. You do not need a pressure cooker to cook them. Pumpkins cook rather fast. When you can poke through them with a fork, they are ready. If you are looking for a low-fat recipe for the upcoming pumpkin season, look no further. Try this today! Feel free to leave comments here or on my facebook page. 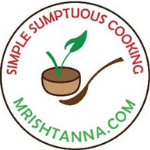 You can also subscribe to my newsletter and you will get my recipes sent to your inbox. Apart from simple vegan recipes such as this, I have put together some simple vegan dessert recipes and dessert essentials in the form of a short e-book. Â Just sign up for my newsletter if you have not done so already and you will get a copy. Here are the recipe detailsâ€¦. Pumpkin Dal is a mighty concoction of cubed pumpkins along with protein rich pulses and spices. Cook the dal with 1 Â½ cups water, in a pressure cooker (3 whistles) or on a stove top until their cores are soft. Place a deep pan over medium heat and drizzle 2 tbsp of olive oil. As the oil heats up, add cumin seeds followed by ginger and garlic. Saute for a minute. Add chopped onions and continue to sautÃ© until they are transparent. Add the cubed pumpkins and close the lid. Cook them until the pumpkin pieces are soft. Remove the lid and add the spices (Turmeric powder, Chilli powder, Sambar powder and Garam Masala) one by one and continue to stir well. Now, add the cooked toor dal and salt to taste. Mix well. Add a little more water, if it appears too thick. Cover the lid and simmer for 6-8 minutes. Add lemon juice and chopped cilantro and switch off the heat. Pumpkin dal is ready to serve. Serve hot with steamed rice or Indian bread. Like the addition of pumpkin in daal, more healthier.